Various NRL Victoria female competitions are set to begin over the next few months. 2019 will see NRL Victoria deliver competitions for women and girls’ tag and tackle, as well as fielding representative teams. The Junior Girls’ Tackle competition kicks off on the 4th of May. There will be three divisions in 2019, up from two in 2018. The divisions are under 13s, 15s and 17s, compared with 15s and 18s in 2018. The extra division highlights the increased female interest in rugby league in Victoria. The Women’s and Girls’ Tag seasons begin on the 11th of May. The divisions for 2019 will be the same as 2018, with under 14s, 17s and women catered for. This year all teams will compete on a Friday, instead of a Saturday. NRL Victoria Female Participation Officer, Pauline Poloai believes the change will be beneficial to the tackle and tag competitions. “It allows more females to play both,” she said. The female representative season will be in full swing by April. 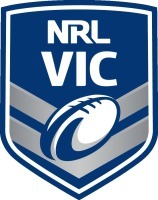 The NRL Victoria Under 16s Girls’ side and Women’s side will get their season underway on the 18th of April at St Mary’s Rugby League Club in Sydney. They both will be competing in the Combined Affiliate States Championships. The women will be defending their title, whilst the 16s will be aiming to take down 2018 winners, WA. The NRL Victoria Under 19s Development Team travelled to Sydney in January where they took part in the Development Tour, against Tarsha Gale Cup teams. There they played games against the Newcastle Knights, Wests Tigers, Illawarra Steelers and St George Dragons. Whilst they didn’t record a win, they were competitive against the top four Tarsha Gale Cup teams of 2018. Last weekend signalled the beginning of NRL Victoria Women’s first grade competition. Both games were played at the Betula Reserve as part of “Magic Round”. In the first game Melton Broncos beat the Altona Roosters 24-18. The win will be a confidence booster for Melton Broncos who struggled for wins in 2018. In the other match the Truganina Rabbitohs upset last year’s premiers the Werribee Bears, 16-8. The Rabbitohs will be a force to contend with this year, after their narrow loss to the Bears in last year’s Grand Final. This week’s games see the Northern Thunder join the competition in their game against the Casey Warriors, at Casey Fields. The Melton Broncos will take on the Truganina Rabbitohs at Macpherson Park Sports Complex, whilst the Altona Roosters will take on the Werribee Bears at Bruce Comben Reserve. NRL Victoria’s continued focus towards growing the women’s game, comes after last year’s announcement that a new facility in Broadmeadows will become the home of a future NRLW Storm team. The Victorian Government pledged $12 million towards the construction which will contain playing fields, high-performance facilities and will become the administrative headquarters for NRL Victoria.